We approach prunning both as an art form as well as a science. We prune to meet your objectives and to improve the look of your trees and shrubs while keeping their biological, structural, and health requirements in mind. Putting the right plant in the right place for the right reason is essential to a successful landscaping project. We pay close attention to selecting plants best suited to your property, choosing healthy speciments from local nurseries, and employing proper installation techniques. In addition to tree removal services, we also offer expertise in assessing tree hazard risk. 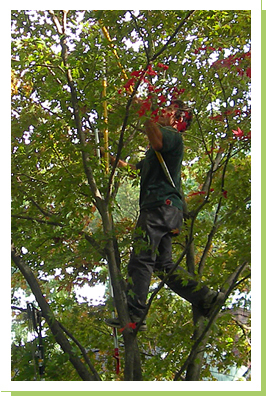 We provide tree hazard assessment services to residential, municipal, and commercial clients. We offer expertise in conducting computerized tree inventories using Geographic Information Systems (GIS). We have recently completed work in the Boston Common, the Public Garden, and The Esplanade. We provide pre-construction planning for protecting and preserving trees during construction. We also provide guidance on determining which trees are worth preserving.